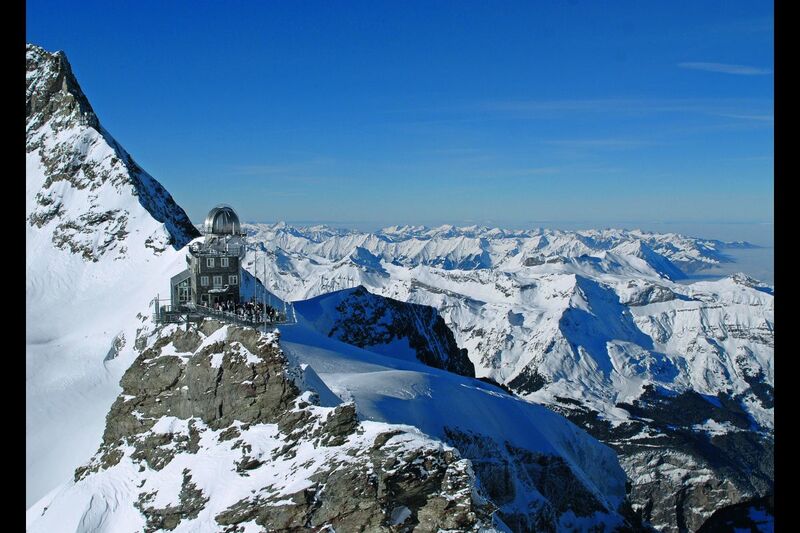 The Sphinx with the panorama platform on the Jungraujoch. 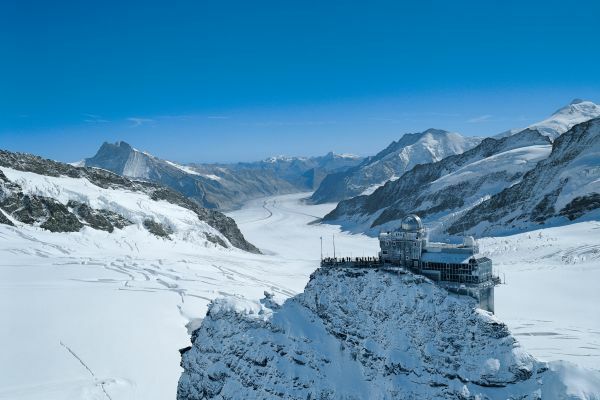 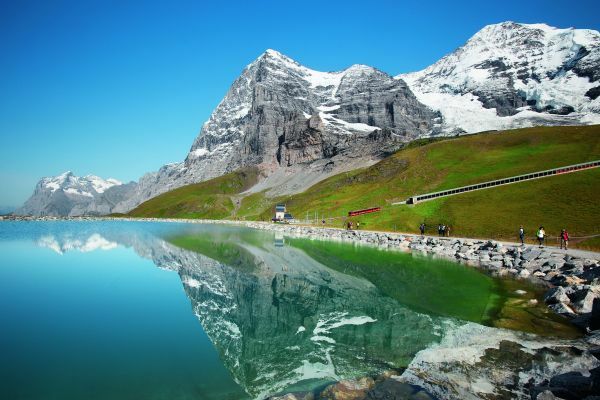 The alpine experience on the Jungfraujoch, nowadays no longer reserved to the alpinists, has lost nothing of its attractiveness: year after year over half a million visitors come to the heart of the UNESCO World Heritage Site Swiss Alps Jungfrau-Aletsch. 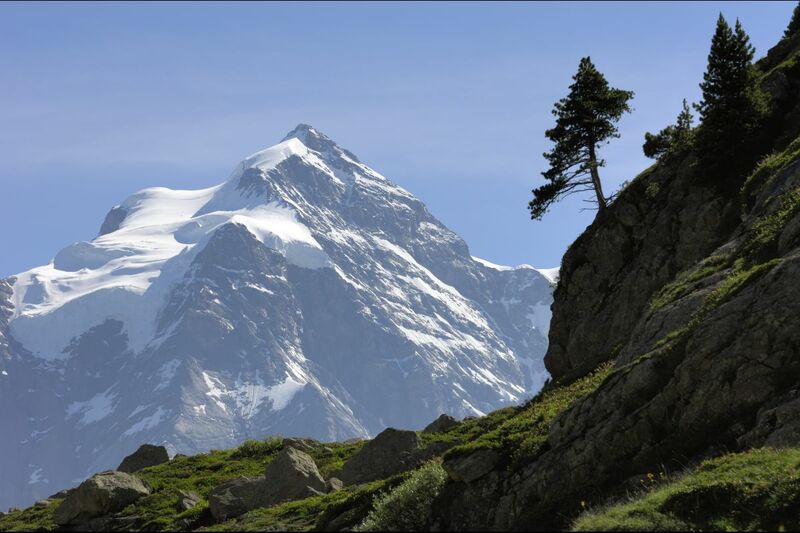 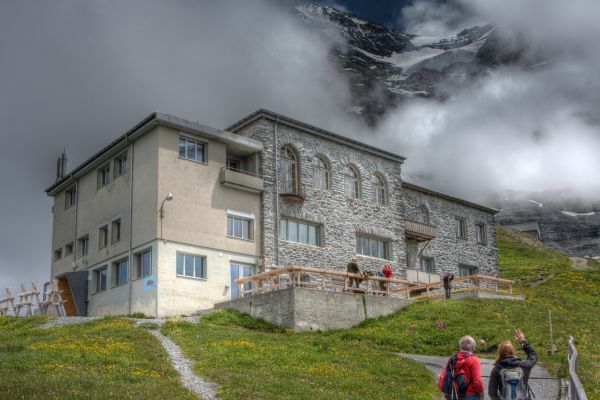 They will not be disappointed from both panorama platforms Sphinx and Plateau they have a tremendous view over the largest ice field of the Alps, the Great Aletsch glacier, the summits and ridges of all the mountain giants. 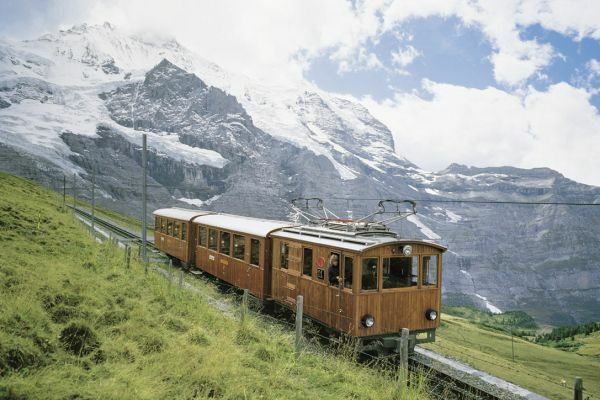 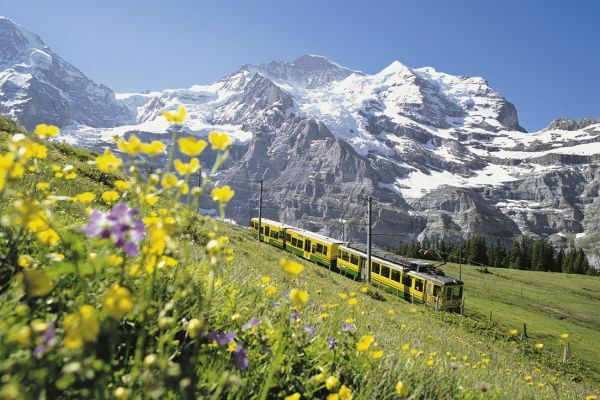 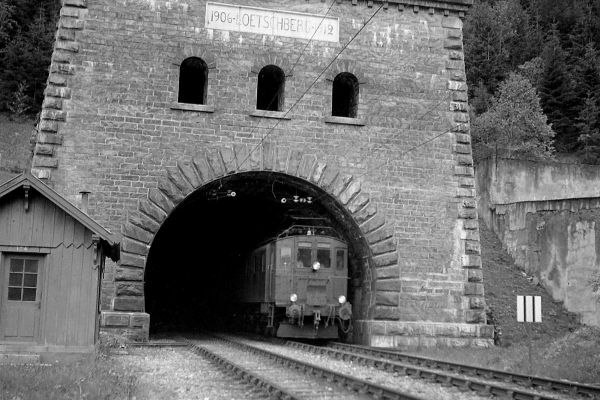 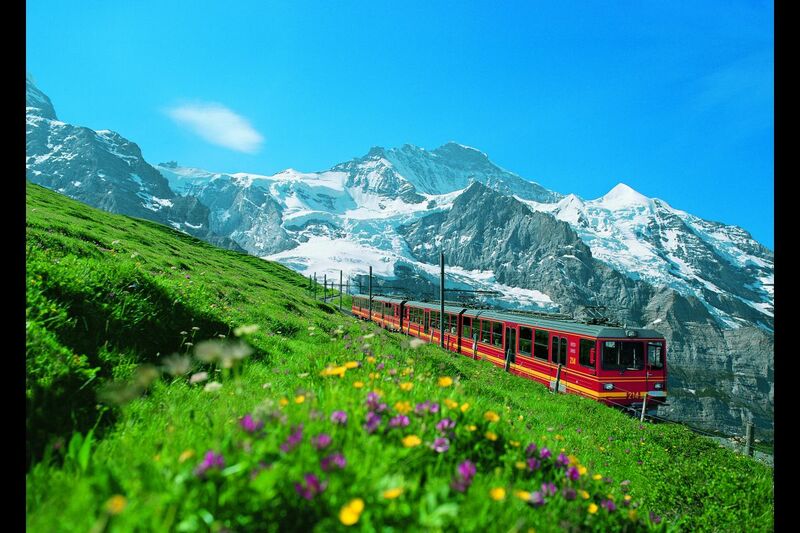 The Jungfrau Railway is a technical masterpiece, attracting many railway fans: from the Kleine Scheidegg the rack railway crosses the rock masses of Eiger and Mönch on a 9 kilometres long distance, 7 kilometres in a tunnel, and overcomes an almost 1400 meters difference in altitude. 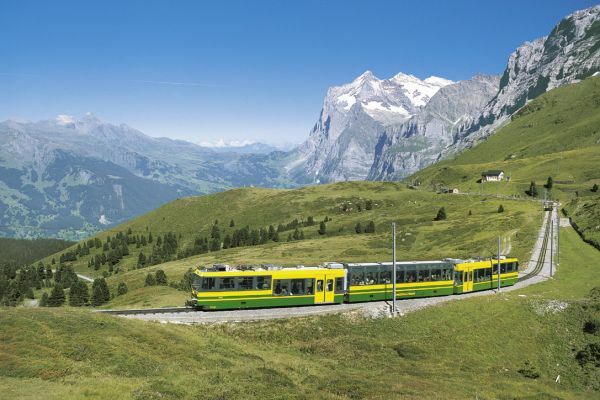 The spectacular ride is interrupted by stops at the stations Eigerwand and Eismeer. 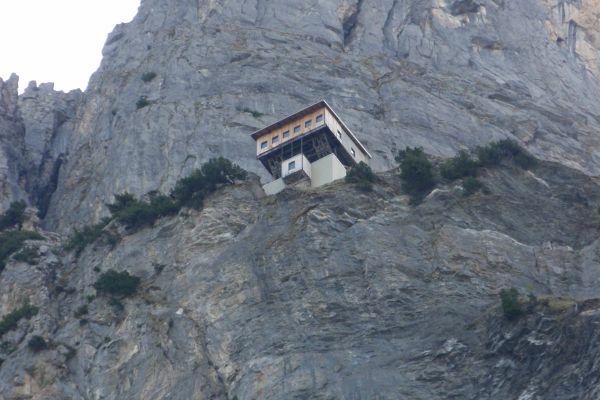 Many travellers shudder at the view of the depths below. 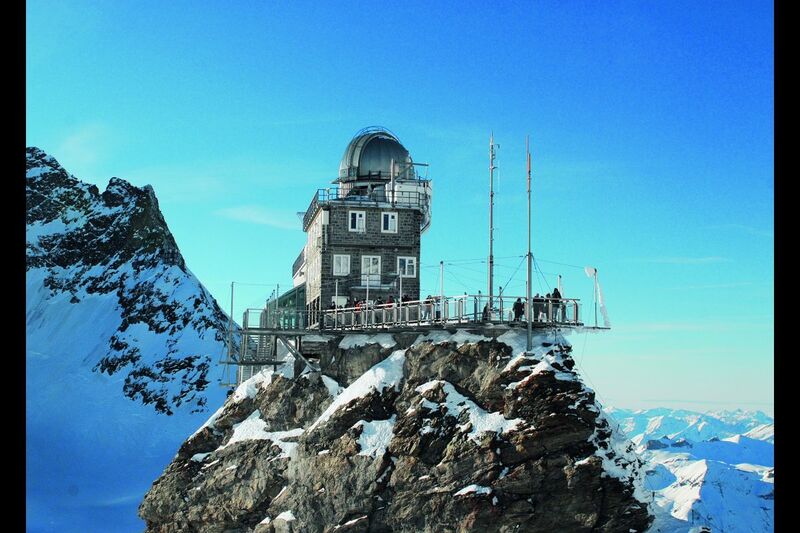 The Mountain station, at an altitude of 3454 meters above sea level is the highest railway station Europe's. 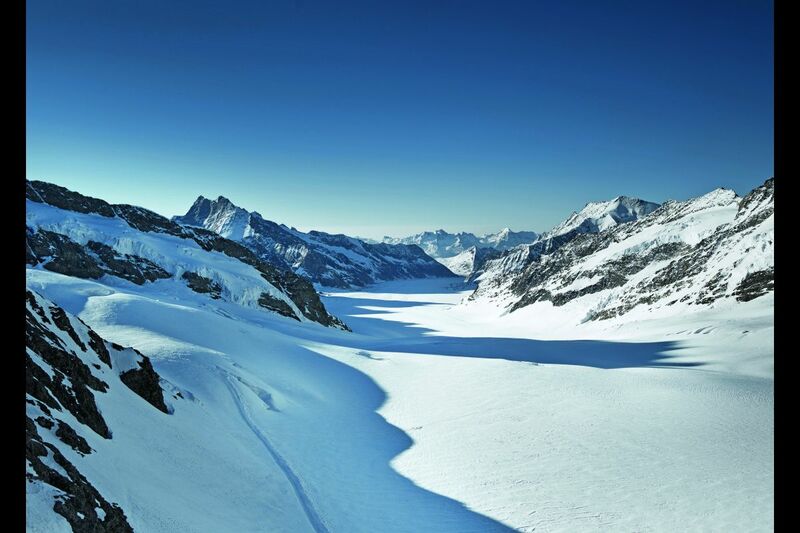 The access to the Jungfraujoch is mainly on Bernese ground, in the municipaltities Lauterbrunnen and Grindelwald; the station, restaurants, shops and exhibition rooms are located on Valais soil and part of the Fieschertal municipality.